During the weekend of the festival you are more than welcome to pop into Heywood United Reformed Church where there will be a fully stocked Ice Cream Parlour and refreshment store up and running every day. 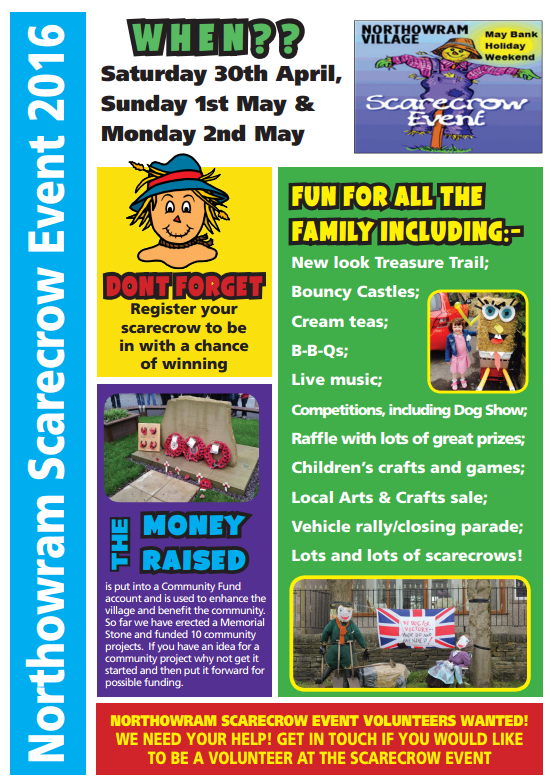 Thank you for this lovely write up about the Scarecrow weekend here in Northowram. I’ve shared the link on our facebook page & group.